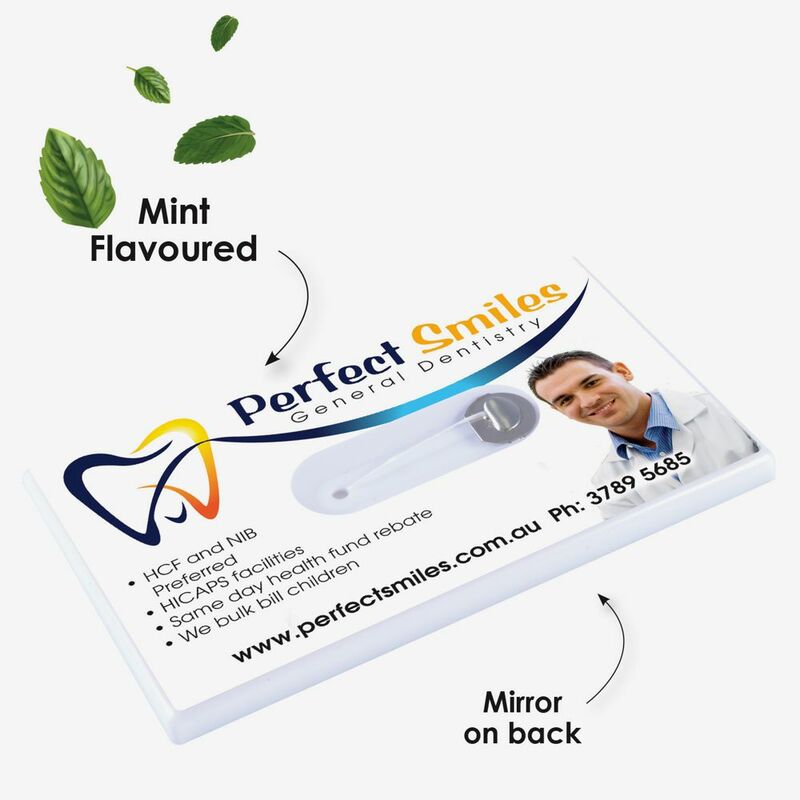 Business card size dental floss card with mirror on back (85 x52mm)- including 10metres of mint flavoured floss. Full colour print pricing. 85 x 52 x 5mm (LxHxD).